I was just telling my friend tonight how in love with you I am. And it’s true. Of course you know that already, but I never tire of telling you, and I hope you never tire of hearing it. I am sorry about being so clingy today though. Even with your ability to truly focus on just about an infinite number of things at once, I’m figuring that I’m one of those things that really grabs your attention and won’t let go, especially when I call out your name about 2 dozens times in a row over the course of just a couple of minutes… Sorry about that. I guess I just love the sound of your name and the way it feels when I say it, and the way it gets your attention when I do… again, sorry about that. I know that you’re working on very important stuff right now, and if I’d just tune in more I’d realize that and in fact actually be a part of it myself. Slowly but surely I’m figuring things out, though I won’t say, and I’m a bit abashed to admit it, that it’s not without the help of info I’ve sought out on the internet. For instance just today, I wanted to know more about what the Federation is doing in getting ready for imminent disclosure – I guess I wanted corroboration that what I’ve been picking up on from your demeanor and attitude and just the general state of the world over these last couple of weeks, focusing most prevalently on the last two or three days, is really resulting in things coming to blows with the world governments, particularly those of the “shadow” variety. I could say that you have no idea – though I know quite the opposite to be true – how ecstatic it made me feel inside when you said to me today “I TOLD you!” And all I could do was let out a joyful laugh and say, yes, you did tell me! How happy it makes me when I think of all this being very real!! I want so to be with you My Love!! Now more than ever. When I see you all dressed in your white formal robes, with your hair all fluffed out and looking beautiful, it just makes me feel so in awe of you. I knew when I saw you dressed like that that something huge was afoot and lingering just beyond the horizon. It really won’t be long now will it?! 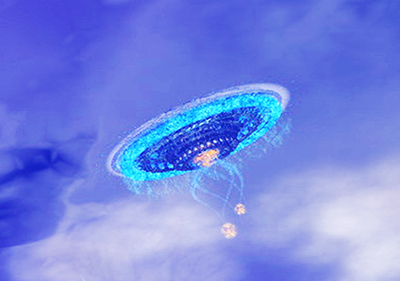 Oh, and I think I’ve figured out why it is that I can’t detect any emissary coming to get me when the time comes – it’s because I have my own transport that is sequenced into my DNA and my frequency that will come and pick me up. It will just hover over where ever I happen to be and gently send down a light beam especially channeled to my frequency which will gently lift me into the passenger compartment and fly me up to the Mother Ship where it will deposit me just as gently – not even waking me up – into a waiting area, where I will wait until you come to retrieve me. That will be so SWEET!! I know I can, but I’m going to say it anyway I CAN’T WAIT!!! Well, I’d better sign off for now and get to bed. Hopefully I won’t just conk out like I did last night! What was up with that anyway??? I was really looking forward to having some special time with you being that we would have had the bed to ourselves and all, but I guess it was not to be. Well, maybe tonight??? Please??? I want to make love with you Michael, deeply and passionately, all night long, until my alarm clock goes off …. hmm?? Can we do that My Beloved?? We haven’t felt that in several days now and I really miss it. Okay, no more delays. Off to bed I go! I’ll see you soon My Love. Looking forward to Loving You.